Hello readers, we’ve been keeping busy here at FastKlean Cleaning Company London. We have been undergoing some major domestic cleaning for a property management company. Our domestic cleaners London had their work cut out for them this week. Some of the properties that they had to clean were in horrible condition. Before they could even begin the domestic cleaning in Croydon and Brent Cross, the professional cleaners had to clear items into skips. However, the mess in these rundown old houses were the least of their worries. 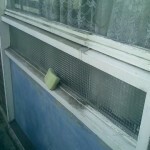 During the domestic cleaning service our staff had to fend off rats that had taken up residence in these houses. Nevertheless, these experienced and diligent domestic cleaners got on with the job. Whether you require the odd job to be done around the house, or your home needs a one-off spring cleaning, our team of professional cleaners are ready for the challenge and will deliver sparkling results every time. We operate in all Central London and Greater London areas and offer a variety of professional cleaning services, including carpet cleaning, window cleaning, after-builders cleaning and end of tenancy cleaning. Give us a call for a free quote of our cleaning rates and to book a cleaner.